Get outside, and get moving! In Alexandria, renting bikes and getting out on trails or city streets is an easy and enjoyable activity. Or, head down to the waterfront and embark on a riverboat to venture over to Washington, D.C. or for a sightseeing trip along the Potomac. Better yet, combine the two with Mount Vernon by Bike & Boat and traverse the Mount Vernon bike trail down to George Washington&apos;s Mount Vernon Estate, Museum & Gardens and hop a boat via the Potomac Riverboat Co. for an evening in the city. Alexandria was named amongst the "50 Best Bike Cities of 2016” by Bicycling Magazine, and with our number of bikeshares, rental services and trails, it&apos;s easy to see why. Alexandria is dedicated to providing safe and easily accessible routes for cyclists, even those just looking for a quick spin. Whether you&apos;re in need of a repair, locks or the perfect place to explore, Alexandria&apos;s bike rental facilities will help you get on the road. 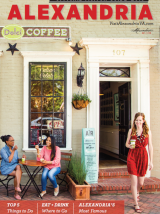 Click here for a complete guide to Biking in Alexandria. 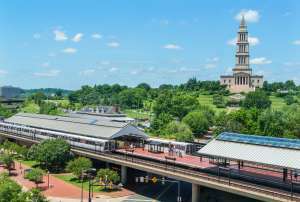 Alexandria&apos;s location on the Potomac River doesn&apos;t just mean beautiful waterfront views, it also offers another way to get around the area. Potomac Riverboat Company operates water taxis to the Wharf, Georgetown, the National Mall, Nationals Stadium and National Harbor as well as cruises to George Washington&apos;s Mount Vernon. Click here for more information on boat tours.